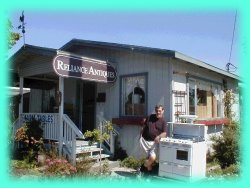 We are a family owned business founded by Doug and Teresa Harbo in 1980 in Berkeley, California. All five of the Harbo children have worked at the business. We have been named The Best in the Bay Area by San Francisco Magazine. Mr. Doug Harbo officially retired in December 2012 and Reliance Appliance is now being managed by his son, Matthew. 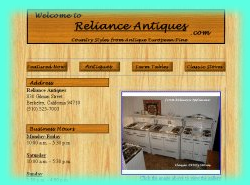 Unlike many other stove restorers, Reliance has placed its highest priority on quality and authenticity. All replaced parts are of original manufacture, no reproduction or knock off imitations are used. Upon starting a restoration, the stove is completely disassembled. The stove chassis and parts are meticulously cleaned and polished. All chrome surfaces are sent out for replating as well as porcelain parts where needed. Most the stoves remain the original milk white color, however several other colors can be chosen from according to the customer’s requests. Oven thermostats, safety valves, thermocouples, oven door springs, switches, and wiring are replaced on every stove, and the power cords are updated. Customers are attracted to the 1950’s Wedgewood and O’Keefe-Merritt stoves for many reasons. The modern commercial stove does not always complement the architectural style of the kitchen or even the rest of an older house. Others like the simplicity and practicality of these vintage stoves which do not rely on modern and sometimes fragile technologies like electric solenoid valves, self igniting pilots and complicated wiring designs. Our stoves do not need electricity to operate except for lights and accessories. The front burners on the Wedgewood stove run at 12,000 BTUs, excellent for wok cooking or other fast fry recipes. Finally, these stoves are collector’s items. They have steadily increased in value over the past 40 years and should continue to do so as there are no reproductions being made of these models. 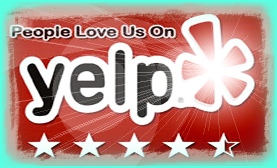 Please feel free to call us for more information on our fine line of vintage stove services. We look forward to sharing our love for these kitchen treasures with you! Please feel free to study our before and after slide show and, if you are at all interested please call us with any questions you have.